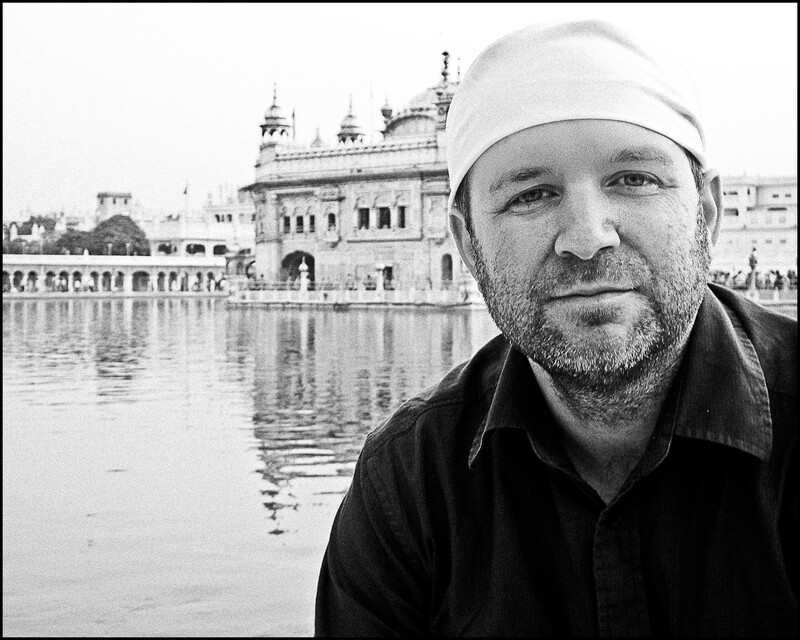 Enjoying some peacefulness at The Golden Temple, Punjab, India. “To prominently exhibit and publish my work to bring about a real change in the lives of people that I photograph”. My recent London Exhibition, “India’s Forgotten Children”, bought a small group of dusty street children from the Indian city of Hyderabad, to life in the heart of London at St Martin-In-The-Fields. Visitors from across the world looked into the eyes of the most disadvantaged and were able to connect with them by donating to the charity Hyderapals India Educational Trust. Very nice photos! Keep on posting. HI Peter, I was wondering if I could ask, where in the world are you? Many thanks for the comment and for visiting! Nice blog, a lot of striking images. Thank you very much for having a look around it! Jenny thanks so much for your lovely comment! It’s greatly appreciated! :) unfortunately there was a particular purpose to this recent trip that didn’t really include photography but I’m very excited to be going back quite soon with just myself and a camera! I looked at your gravitar profile and I think my next visit might be of particular interest to you bearing in mind what you do! I hope you don’t mind if I keep you posted about that? I would love for you to keep me updated!! I love pretty much anything to do with film, photography and travel so please do keep me posted :) Out of all the places I have traveled to (which I don’t even scratch the surface on my blog) India & Nepal found a special spot in my heart to reside in. Just really beautiful places and peoples. I really want to make it back there soon. I agree with you Jenny. I haven’t been to Nepal (it’s on my to do list for sure) but in India I have found such beauty and resilience in the places of greatest hardship. Seeing the magic in the eyes of people with truly difficult lives is humbling, particularly since in much richer places around the world I see so much dissatisfaction in people with huge comparative wealth and opportunity. One lesson I learned on my recent visit though – it’s tooooo hot in August!!! Hi Peter, I found you through Tricia A. Mitchell’s blog. Your images are beautiful, and I love how you capture the mood in your photographs. Glad to connect, and I look forward to seeing more:) Cheers! Wow. Just wow… Very powerful and inspiring. Thank you Miwako! Having just read your work I shall definitely take that as a big compliment! Look forward to reading more! Let me just say that I thoroughly enjoy your photographs. When I look at them, a story formulates in my mind about the places and people in your images. I nominated your blog for the Liebster award and mentioned you in this post: http://abuchon.wordpress.com/awards-such/. Thank you, Peter. :) I can’t wait to see what you’ll capture! Thank you so much for leaving a note; its very much appreciated and makes my posts on this blog so worthwhile. I am really pleased that you can find these things in my pictures :) Its a huge compliment. I really love the whole process of making pictures; from finding a subject, getting the shot I want and all the way through editing (and now printing much more these days too) They won’t ever mean something to everybody but its lovely when they do, even if its just one person :) Thanks again! So. Beautiful. Thank you for sharing. Loved the pic at Golden Temple! I have indeed! This pictures was from a couple of years ago. I have some friends in Amritsar and I always make sure to go to the Golden Temple when possible. There is a peaceful and magical atmosphere there that I love especially in the evenings when its not too busy. I have yet to go to Chandigarh but I hear its a really nice city. yeah, Chandigarh is called the city beautiful! Thanks Ray, its a pleasure. Hey James thanks for letting me know. Actually I removed that post after about a day. I was feeling really strange about it because the lavishness of the occasion (here in London) was in such stark contrast to my recent posts from India that, in a weird kind of way, it felt disrespectful to those brilliant untouchable kids from Hyderabad. I opened up my safe yesterday and recovered two 4GB cf cards still full of pictures from that last trip (I have been really busy here) I’ll feel a lot happier posting some of them soon! Hopefully we’ll all have a nice weekend if the lovely sunshine stays around!??!? You are more thank welcome Peter and I can empathise with you regarding the contrasts in the work in London and those images from India. I look forward to the next postings…. Love your work. You certainly have talent! Hi Peter, as you will have seen, I love India too. Your inspiring images encourage me to visit the north again as recent visits have been to central and south India. I have enjoyed looking at your other fine photos as well…..the variety makes for a fascinating blog…..am now a follower. Keep up the great work, regards, John. John thanks very much indeed; I’m glad you like my blog as I really enjoyed looking through yours! Thanks Peter…..hopefully India again in November. Love the new theme, Peter! Your pictures really stand out against the dark background. Love the new feel of your blog – your photos look even better, they have become somehow brighter (if that is possible). Well, the darker background seems to have done the trick, so keep snapping and changing! K.
Thanks I’m glad you like it :) I need to customise the font I think its too fat (especially when viewed on ipad) need to be a bit thinner I think. Nice to hear form you! I was so pleased to hear from you this morning! I am really excited to read your comments, you know I will always be happy to hear from you. I hope you don’t mind, I will email you too. I’d love to find out what’s going on with you these days. Hey Pete! I don’t have my other email address anymore, so I will send you my new one to the email address on your Contact page! Hey Pete, I just sent you the email so let me know if you don’t end up getting it! Hi Pete. Long time, no posts:) Hope everything is well with you. To be honest I’ve been so busy with a new job lately I don’t sit down at my desk as much as I have in the past. All is good though and I’m really looking forward to starting 2014 with some exciting projects coming up. Starting with trips to Hyderabad, Delhi and Amritsar in February. I know you’re in Delhi so hope to meet up with you at some point there if you’re around? The new year seem full with great projects for you Peter and I know they will be a great success for you, with your sensitivity to the environment and the beauty in you images of a landscape or the capture of the children we have become familiar with in your posts. James sorry for the late reply so slightly belated Christmas wishes from me I’m afraid! I hope your Christmas was a good one. I booked some flights yesterday for Feb and now really looking forward to setting off again. This time I have given myself a very particular brief though relating to the upcoming exhibition I mentioned to you before. I hope that the results are going to really help Hyderapals charity who are hosting it in London. Have a great new year, all the best, Pete. That is quite alright and I do hope that you have had a wonderful Christmas. Seems like a lot of planning for the forth coming trips and the sponsored exhibition. 2014 seems like it is to be a great year for you and I look forward to following your projects whether they are planed or spontaneous. Great job, love all of them. Best wishes. Really love your work. Your images are incredibly captivating & very moving. All the best to you in 2014, looking forward to seeing more. Mark thanks so much; I really appreciate your comments and hope you like my upcoming posts. A great 2014 to you too! Hi there and regards to you from UK :) Many thanks for looking and commenting; it’s very much appreciated! This is awesome blog (and photos). Keep up your great work mate. Best wishes. Great blog and great photos! I must admit that the desire to travel eastward grows when I see your photos. Well done! Hi there, I hope that you have indeed travelled in an easterly direction! Glad you like the photos, many thanks! hi. i hope your amazing work helps those who have been forgotten to be remembered for all of their beauty and truth as you’ve immortalized it in film. great work. Hi O and Om, I hope so too. We raised some money and its going towards making a small school better for the kids there. The pictures of the Indian children is what caught my eye and brought me to your blog. So well captured. Loved them. Have missed looking at your amazing photographs. They have inspired me to pick up my camera again, after all these years. Thanks for the compliment Roopinder :) I’m still waiting for us to go shoot stuff together after all these years! London day trip looking like tourists? Your photos touch my heart Peter… Beautifully captured! Look forward to seeing more!